Summary: Light rain throughout the week, with high temperatures rising to 79° on Saturday. A Flight For Life helicopter responded to Purgatory Resort on Saturday for a report of a 34-year-old woman who struck a tree. She later died. Authorities have not released her name. A 34-year-old woman who struck a tree while skiing Saturday at Purgatory Resort has died. Authorities had not released her name as of Saturday night. The incident was reported about 3:15 p.m. near the base of Purgatory. 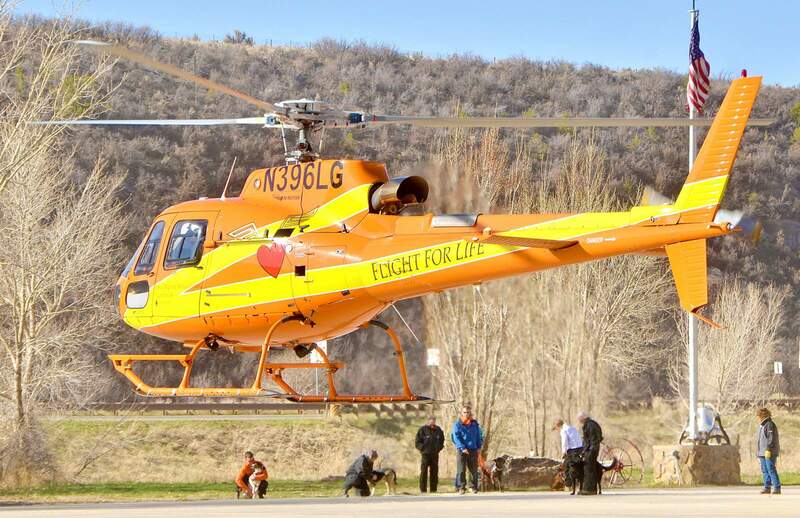 A Flight for Life helicopter responded around 4 p.m., and according to Purgatory officials, the woman was pronounced dead around 4:30 p.m.
Traffic on U.S. Highway 550 was stopped in both directions while the helicopter landed and took off. “All of us at Purgatory Resort are deeply saddened by this rare and tragic accident, and we extend our deepest sympathies to the friends and family of the skier,” said Colin McBeath, general manager of Purgatory Resort.